3G Aviation Media has begun a series of workshops to teach the skills necessary to pull off a successful sunset or sunrise static photo shoot. 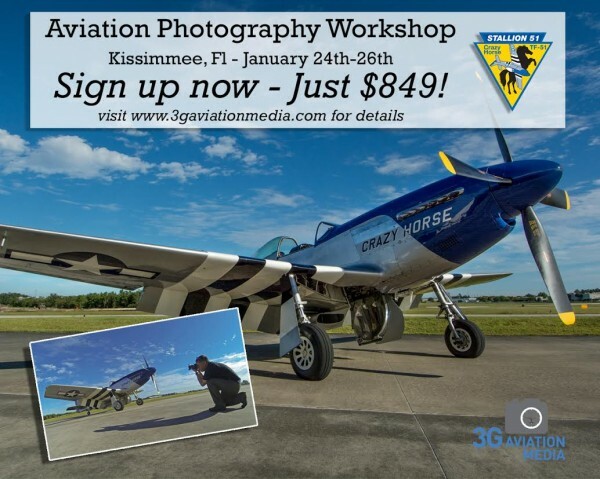 As stated by 3G, the mission of these workshops is: To provide attendees an opportunity to learn, plan, execute and develop as photographers in a small-group environment while working with first-rate aviation subjects.On January 24-26,2014 at the Stallion 51 Flight Operations facility in Kissimmee, Florida the company will organized its second workshop after the first successful event organized in November at the CAF Dixie Wing facility. On November,16 2013, the first workshop was organized at the Commemorative Air Force Dixie Wing located in Peachtree City, Georgia. Under the instruction of 3G Aviation Media, studentss learned how to plan and execute static photoshoots with the warbirds in the Dixie Wing’s collection. 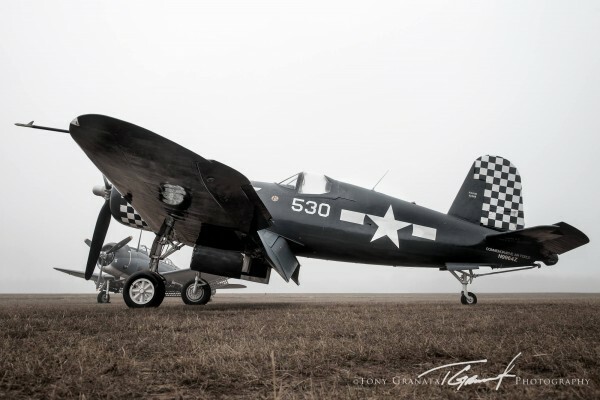 The staff of the Dixie Wing arranged the aircraft subjects in a manner that juxtaposed the replicas of an Imperial Japanese Mitsubishi “Zero” and a Nakajima “Kate” with the restored U.S. Navy Douglas SBD-5 Dauntless and Marine Corps FG-1D Corsair. 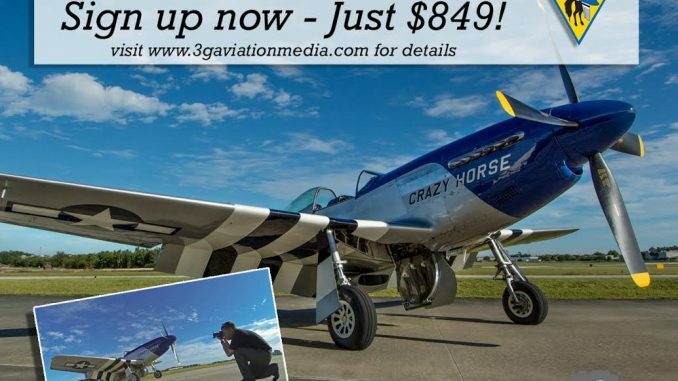 3G Aviation Media is a joint venture between a group of aviation photographers who wanted to partner for specific projects while still retaining their own brand and artistic identity. The three “G”s of the team are: Tony Granata, Matt Genuardi and Doug Glover. Each of them has a different shooting style and each also brings a unique set of skills to the table. As an instructor, Tony Granata brings his expertise in post-processing of an image, and has a wealth of experience shooting from helicopters. Having spent quite a few years as a photography manager for a major entertainment company, Matt Genuardi specializes in working with models and professional lighting equipment. The itinerant nature of his previous life in the US Marine Corps has made Doug Glover the expert in “packing for the location,” and as a Forward Air Controller instructor (ground and airborne) he is the team’s flight briefer and pilot liaison.